Our Registrar, Ms Lauren Smith, is always happy to help if you have any questions about scholarships or bursaries. 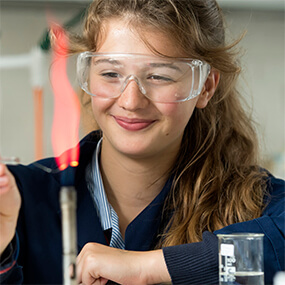 Means tested bursaries are available in the Senior School and Sixth Form (only). Bursaries are awarded according to family circumstances and academic performance, as shown in the entrance test. Families who think they may be eligible should indicate this on the NHEHS Registration Form. They will be sent individual log-on details and details of an on-line form to complete. Scholarships are awarded at age 11 (Year 7 entry) for girls showing outstanding academic potential as judged by performance in the entrance examination and all girls taking the entrance examination are automatically considered for one of these awards. There is no separate scholarship application form or scholarship test. The value of these scholarships may vary but they are usually in the region of 10% of fees and are more about the honour of the award than the amount. However, a scholarship can be supplemented by a means tested bursary (see above). In addition there is a music award, usually of 10% of the tuition fees. Girls should be Grade 4 standard or above on their main instrument to be considered for this award. If you are interested in applying for a music scholarship please tick the relevant box on the Registration Form. You can download the application form and more information here. 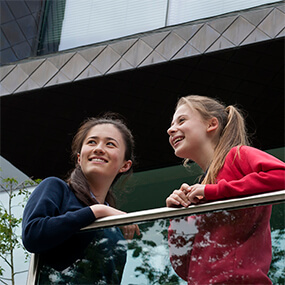 At 16+, there are a range of additional Scholarships on offer while current scholars keep their scholarships until the end of Year 13 (subject to the usual conditions). 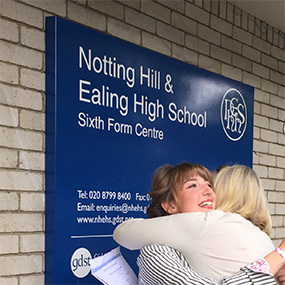 Those moving up from Year 11 at NHEHS and those joining us from other schools may apply for Sixth Form Academic Scholarships. These are generally worth 5%-20% of the fees, for the two years of sixth form study. 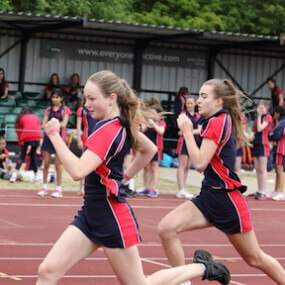 All candidates may also apply for sixth form scholarships for achievement and potential in Art, Music, Sport and Drama. (These are also worth in the region of 5%-20%). A scholarship can be supplemented by a means tested bursary (see above). 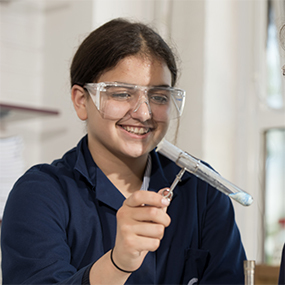 Girls moving up from Year 11 at NHEHS may also apply for an “All-rounder” award for potential in a number of fields, including academic and general contribution to the school. Application forms are provided below along with a document which gives details of the criteria and application procedure for each scholarship. Please read this carefully before making your application and note that the application/interview process includes a portfolio of work for Art Scholarships, auditions for Music and Drama Scholarships and a practical session for Sports Scholarships.